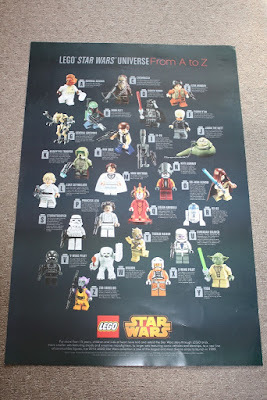 In October I went to a special Lego Star Wars event at the New York LEGO store and I blogged about it. I admit I was a Star Wars newbie and although I haven't yet seen Star Wars - The Force Awakens I am now much better informed. A good deal of my increased knowledge is due to this poster I received at the LEGO Star Wars event. The poster has two sides. 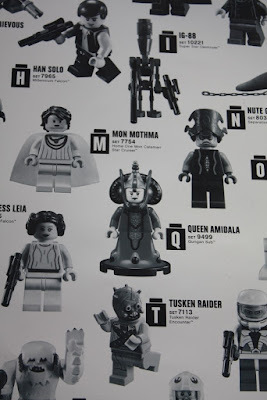 This is "The Dark Side"
And this is "The Light Side"
You can read more about my visit and the new LEGO Star Wars LEGO sets for The Force Awakens here. The Grandma Chronicles ANNUAL Holiday Gift Guide is in two sections and each section features a giveaway. Giveaway details are at the end of the post. Peanuts and Star Wars Hot Toys and Toys for Children of All Ages (This Post) Click here to see this section. Part 2 of the guide has 2 special treats. The giveaway is the Friendly Animals Lacing Cards by eeboo. eeboo also is offering a 20% discount to readers of The Grandma Chronicles until 12/10/15 with the promo code – grandmachronicles20. All the gifts are grandparent approved. Some are new versions of toys that we remember that our kids played with or even we did ourselves. Some are for budget conscious grandparents and some are for those grandparents who buy the extravagant gift that is not in the parents’ budget. This guide features items that can stay at the grandparents’ house and not take up a lot of room or can easily be transported for a visit. Toys and games that grandparents can play with a grandchild are my personal favorites. The guide is peppered with my commentary. I have personally seen everything on this list - many out of the box and some I have played with my grandson. They offer quality and value and the toys are the sort of things that become favorites. The pictures shown have almost all been taken by me. I either took the pictures at a show display or in my kitchen. Almost everything in this guide is available at Amazon.com. I suggest you check out other online options for price comparisons. Online shopping is a great way to go but prices do vary so comparison shopping is important. This is a classical stacking cups set but it has something special going for it. It is part of the new Playskool Play, Stow and Go line. When stacked in the base, the lion face snaps securely in place and you are ready to go. This doesn’t take up a lot of space, is bargain priced and works for visits to grandma’s or a friend’s for coffee. 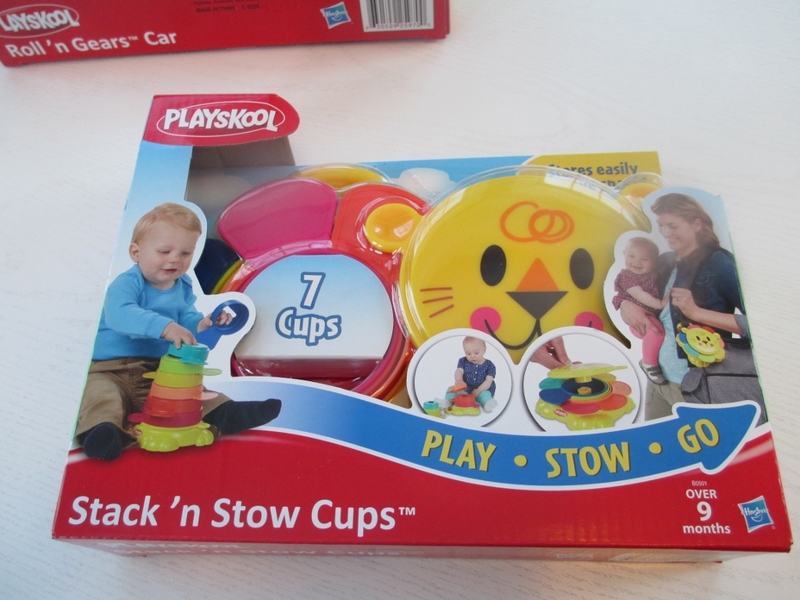 Look for the other toys in the Play, Stow and Go line – they are all winners. If super soft, cuddly plush animals are your thing, look no further. The Red Thread Collection stuffed animals are soooo soft and squeezable. Perfect for sleepovers with grandparents.The owl and fox are my personal favorites. A portion of proceeds is donated to a charity which supports orphaned children in China. Corolle is a French company that makes the most beautiful, quality made dolls. 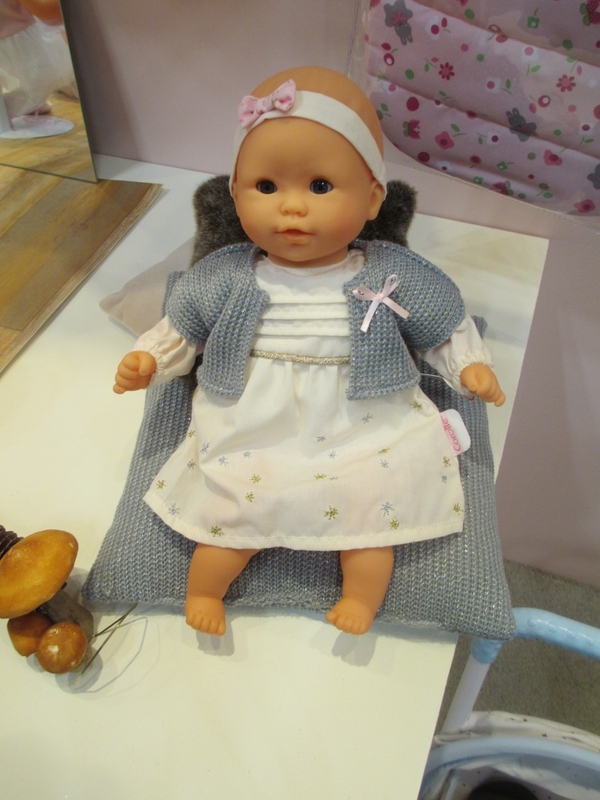 I took this picture at Toy Fair in NY in February and fell in love with this Bebe Calin doll featured for Christmas this year. She is a sweetheart. A special doll for a special little girl. 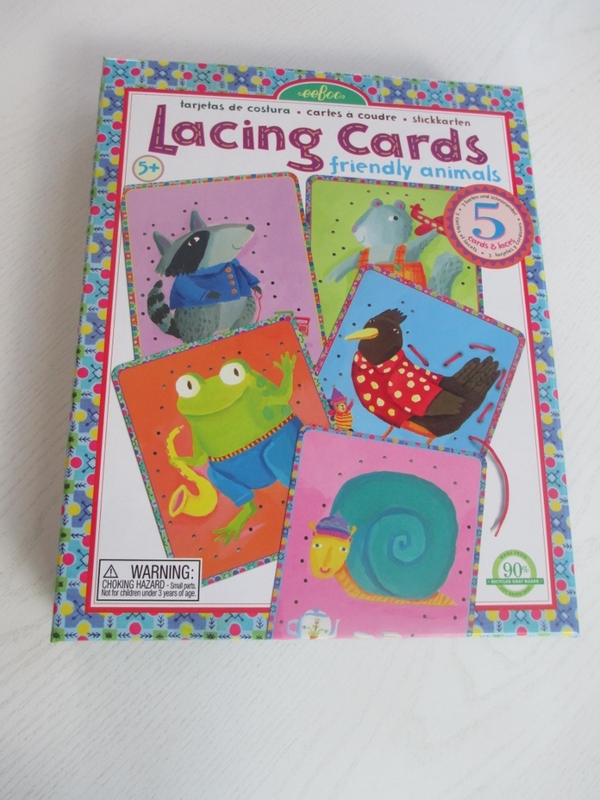 Do you remember playing with lacing cards with your kids? And when you were a kid? I do. These are fun and great for developing fine motor skills. What a pleasant, quiet activity that a grandparent can do together with a young child. 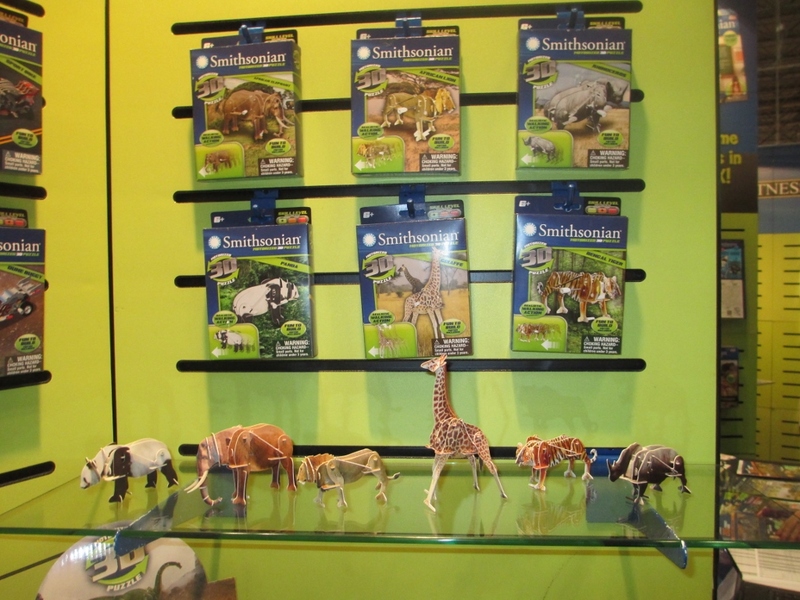 Thank you eeboo for sponsoring the giveaway with the Friendly Animals Lacing Cards. Use the promo code grandmachronicles20 at the eeboo website by 12/10/15 for a 20% discount. 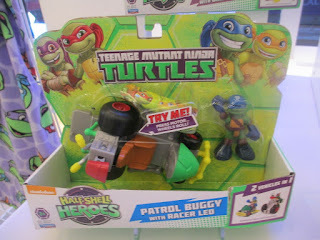 Kids absolutely love the Teenage Mutant Ninja Turtles toys. This Half Shell Heroes line is designed for younger kids. The truck easily changes from a truck to a tank. 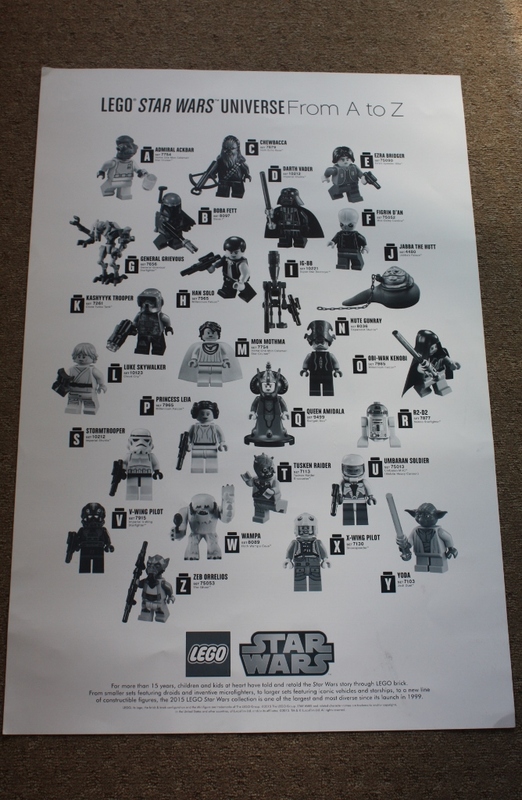 Includes a Leonardo figure. I love this between DUPLO and LEGO Junior series that LEGO has designed for ages 4-7. 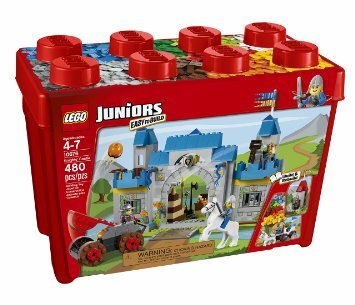 If you are shopping for a grandchild who has mastered DUPLOs and is ready for the next step, but doesn’t yet have the fine motor skills needed for LEGOs, try these LEGO Juniors. My grandson loved them. This Knights’ Castle set was the preschool Toy of the Year winner at Toy Fair NY. 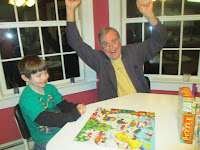 Puzzles are a favorite activity to do with our grandson and we always have some ready on sleepover nights. I like having seasonally themed puzzles and eeboo has wonderful ones. We enjoyed their Beautiful Morning puzzle in spring and summer and the Snowman’s Band is perfect for snowy winter indoor days. Sturdy bright colored pieces and the glitter makes it special. 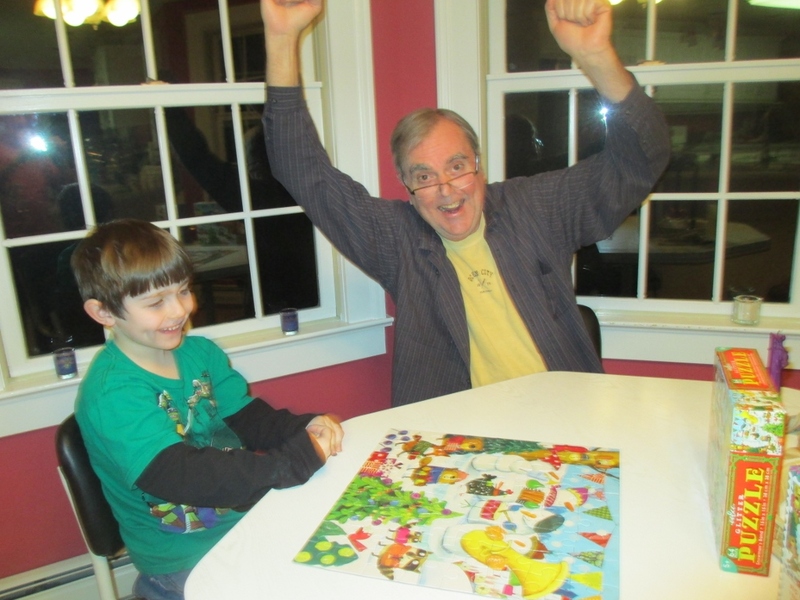 Here's my husband and grandson enjoying the Snowman's Band puzzle. Use the promo code grandmachronicles20 at the eeboo website by 12/10/15 for a 20% discount. 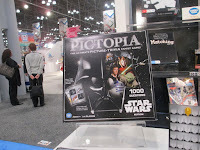 These pictures are actually of prototypes that I took at Toy Fair in February. 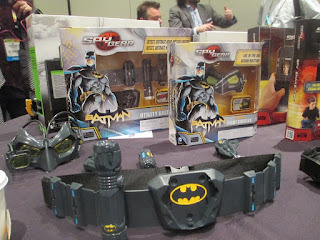 The Spy Gear toys will give a child real powers that they can use in the backyard at night. Great for camping families. 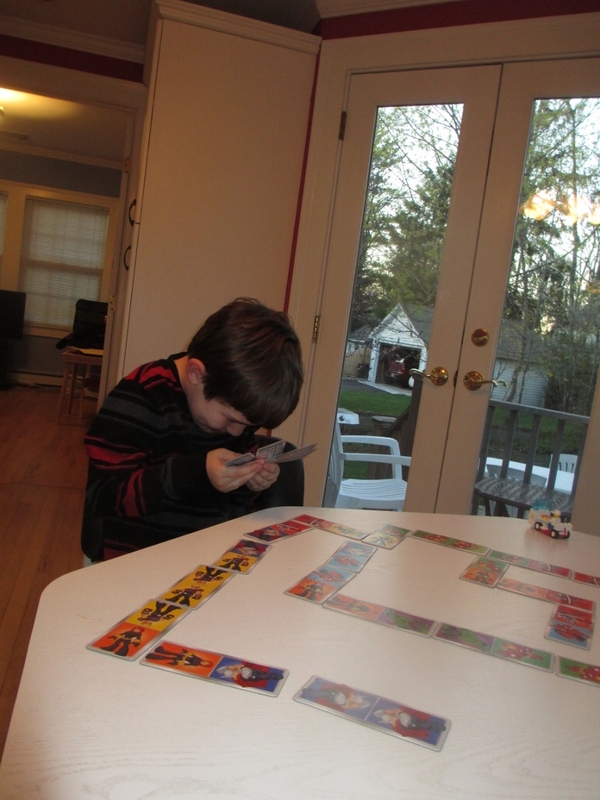 Don’t you remember playing games like this as a kid? They are still fun but now there are some super tools available. They do use batteries. The LEGO Friends line with themes and colors designed to be attractive to girls has been a winner for LEGO. This year’s theme for the line is touring and the Heartlake Hotel is the grand set for this season. This set has lots of detail and the 1555 pieces includes a working elevator. 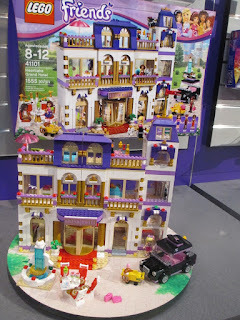 Priced at $120 this is in the category of a very special holiday gift but for a girl who likes LEGOs it will provide many hours of imaginative play and develop building skills. 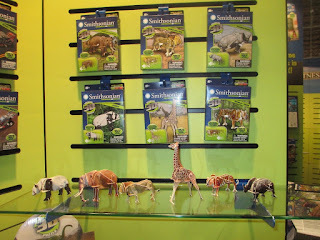 These inexpensive small puzzles are made of thin plastic sheets were one of my favorites at Toy Fair NY. For ages 6 and up they come in three levels – Easy, Medium and Advanced. 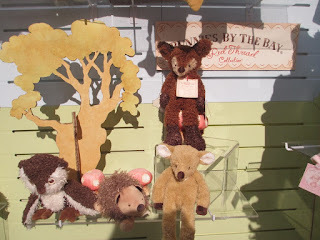 They are perfect stocking stuffers and can be a wonderful project for grandfather and grandchildren to do together. Grandchild interested in science? This isn’t your old fashioned basic science kit. This is a true 21st century science kit. 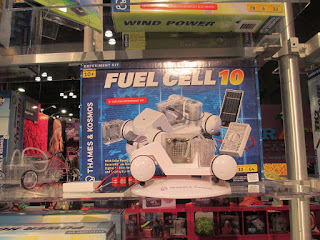 You can learn how solar cells turn sunlight into electricity and experiment with a unique reversible Proton Exchange Membrane fuel cell. For ages 10 and up. 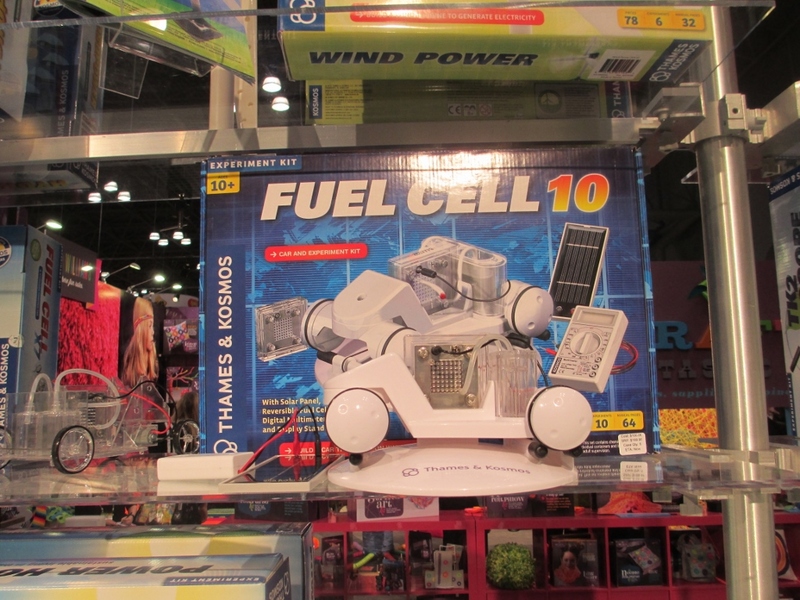 This is a pricey gift but a worthwhile investment for the child who is interested in science. You can have two entries by doing both. Deadline to enter: December 1, 2015 at midnight. This item can be sent to US addresses only. Update 12/3/15: The Giveaway is now closed. Lindsey is the winner. Thanks everyone for participating. Check back and Like The Grandma Chronicles Facebook page for more giveaways. 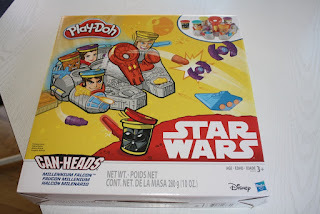 Peanuts and Star Wars Hot Toys, Toys for Children of All Ages and a Giveaway! The Grandma Chronicles ANNUAL Holiday Gift Guide is in two sections and each section will feature a giveaway. Giveaway details are at the end of the post. The guide is peppered with my commentary. I have personally seen everything on this list - many out of the box and some I have even played with my grandson. They offer quality and value and the toys are the sort of things that become favorites. The pictures shown have almost all been taken by me. I either took the pictures at a show display or in my kitchen. 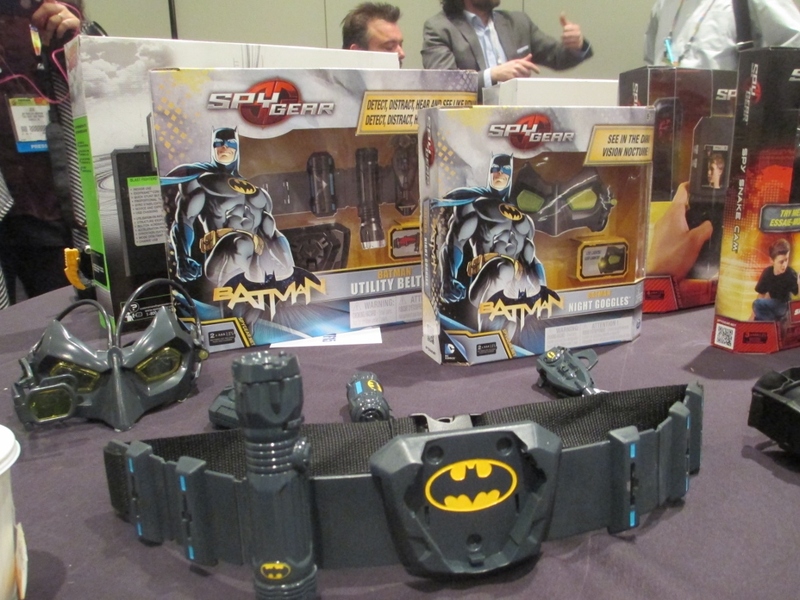 Today the most popular toys are those with movie and TV Show themes. The Peanuts Movie premiers on November 6th. Star Wars: The Force Awakens will be a major blockbuster and premiers on December 18th. 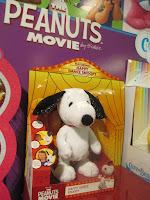 Toys with these themes will be among the hottest toys this season so here a few of my favorites…..
For the younger children Peanuts featured items…. 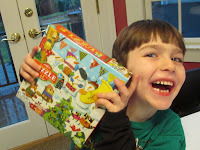 I love Wonder Forge games because they are well designed, appeal to kids, feature current and classic popular characters and are value priced. 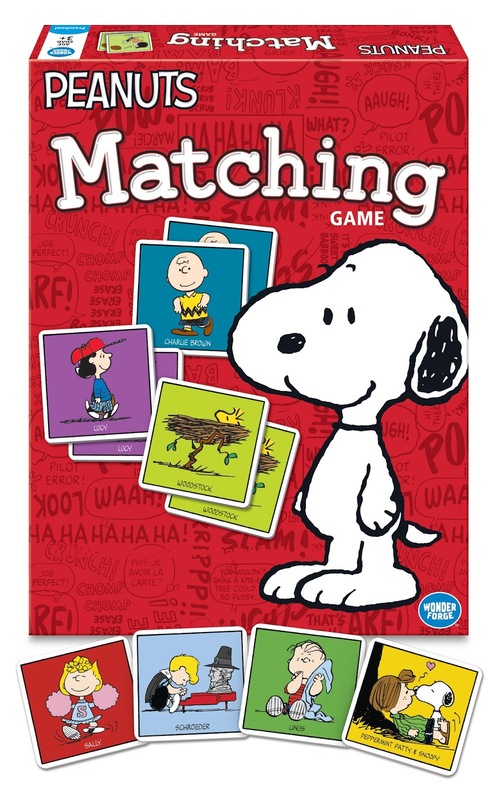 I am thrilled that Wonder Forge is sponsoring a giveaway of The Peanuts Matching Game with this post! Giveaway details are at the end of the post. 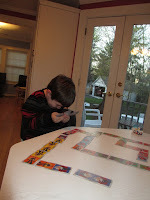 My grandson and I have enjoyed many hours with the Marvel Heroes Matching game and I can attest to this being an excellent grandparent/grandchild game to play with younger children. If they have seen the new Peanuts Movie, they will love this game. Even a three year old can enjoy these simple Matching games and older kids will enjoy playing this game with younger ones. This adorable plush Snoopy dances to the Peanuts theme music. Give him a kiss and he will return the kiss, laugh and howl. The demo for this at the TTPM showcase in September drew a crowd. Adults will be as engaged as the kids. This is a TTPM Most Wanted List winner. Yes, Star Wars is even for young children. There is a TV show for them called Droid Tales. This Play-Doh set includes a Millennium launcher, 5 playdoh cans, and 5 removable engine molds. I gave this set to my grandson the day he got his flu shot. He and Pop had a great time playing with it. Apparently, launching play-doh missiles is a lot of fun. I bet we will see more of these cans with character labels. My grandson really liked them. LEGO has a bunch of new Star Wars sets based on The Force Awakens Movie. 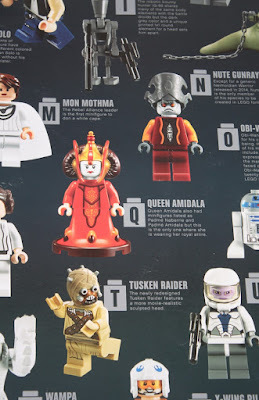 Look for the red/gold cylinder near the top of the package to make sure it is a new set related to the movie. 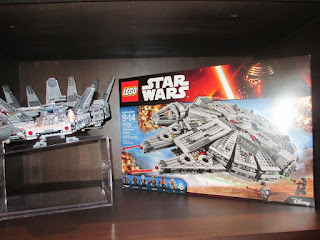 This one is the premier, most coveted Star Wars set if you are looking for the perfect gift for the Star Wars struck. Of, course, you could buy several and not go wrong. This is a TTPM Most Wanted List Winner. 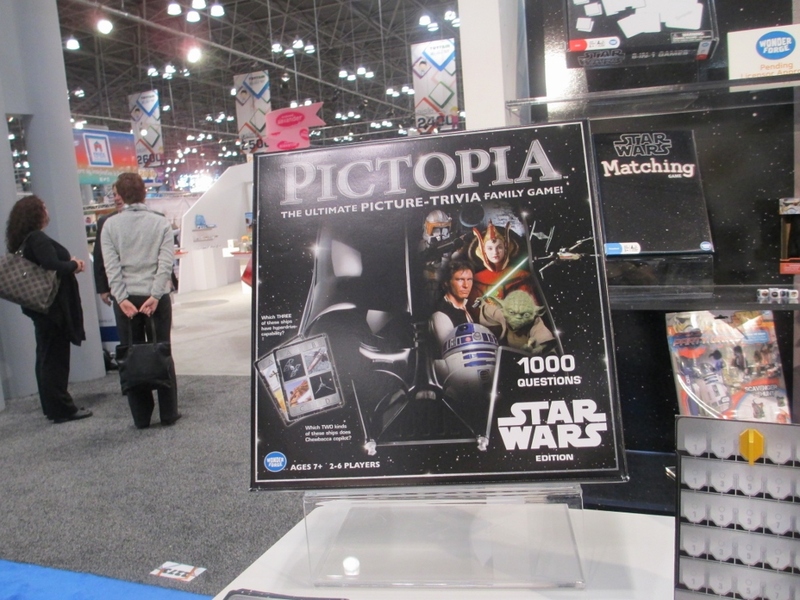 This Star Wars trivia game features 1,000 questions on the iconic planets, ships, villains, and heroes from a galaxy far, far away. The game requires strategy, teamwork, ability to fool others, and yes, Star Wars knowledge to win. This will be a winner with all Star Wars fans. This game is available on Amazon and specially priced at Target. Since I have been going to toy shows and writing about them for years, I know that lots of adults enjoy and collect toys. Men and women. I can see which toys the adults are looking at for the kids and which ones they covet for themselves. Here are some toys that you or another adult in your life might be interested in this holiday season. Shouldn’t every child have a Raggedy Ann or Raggedy Andy doll? 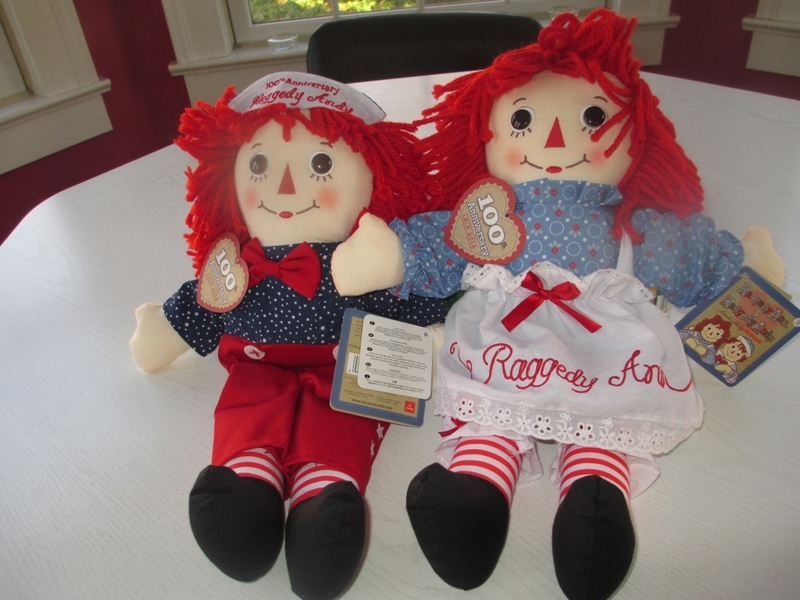 Raggedy Ann is celebrating her 100th anniversary this year and there are special dolls to celebrate the occasion. This will be a truly special gift for doll collectors of any age. Do you still have your Beanie Babies collection? Would you like to add to it with these brand new sports team beanies? 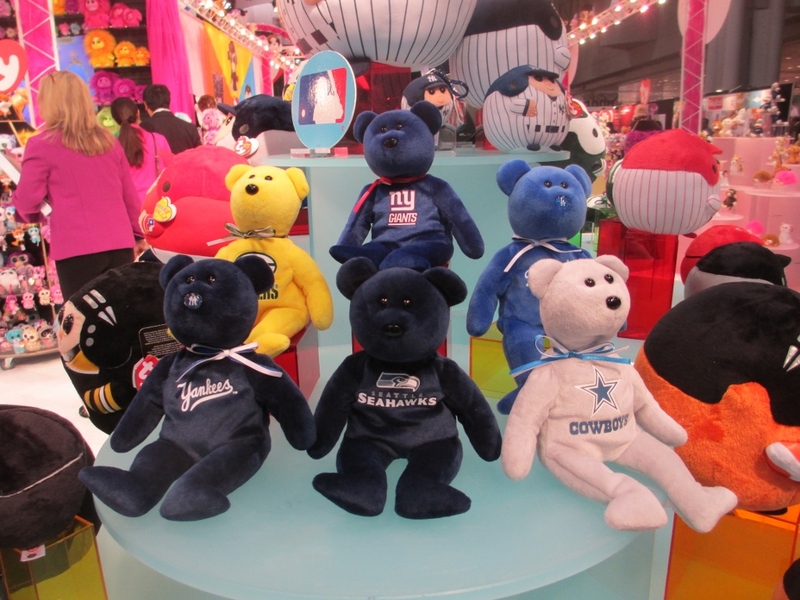 What a super stocking stuffer for beanie baby collector/sports fans. 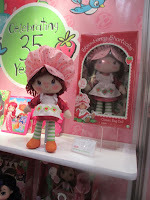 Strawberry Shortcake is back and she is popular. Mom just may want this one for herself. This 14 inch rag doll is dressed just like the original and is, of course, scented. Collectors will love this one. The mothers are always fussing over the Strawberry Shortcake items at the shows I attend. 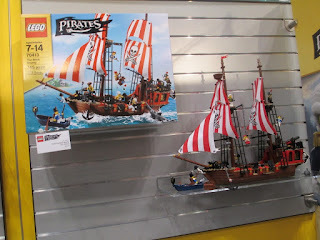 The original LEGO pirate ship debuted in 1989 and my son had a whole scene set up with it in our basement. We made a table out of an old plywood door set on patio blocks and it was covered in fabric remnants representing the land and sea. It provided many hours of imaginative play. Maybe you had one too. This new set is a replica of the original. Look at those beautiful masts! There are 47 reviews on Amazon and it has a five star rating. Adults have bought this for themselves and also are enjoying working on it with a child – grandpas too…. Shouldn’t your Christmas tree have a Lionel train under it? Of course it should. The only question is whether the kids, parents or grandparents will enjoy it more. Make sure you know what you are getting. The less expensive g-gauge is plastic and can easily be enjoyed by young children. 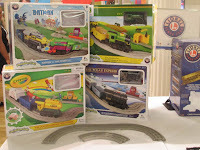 The o-gauge die cast metal version is more expensive and classical. They will also be enjoyed by collectors and children of all ages. I wish I had a better picture but this is the one I took at the TTPM showcase in the Fall. You can have two entries by doing both. Deadline to enter: November 17, 2015 at midnight. This item can be sent to US addresses only. Update: The giveaway is now closed. 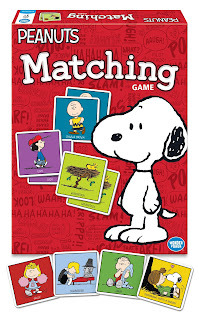 Congratulations Amy, winner of the Peanuts Matching Game.